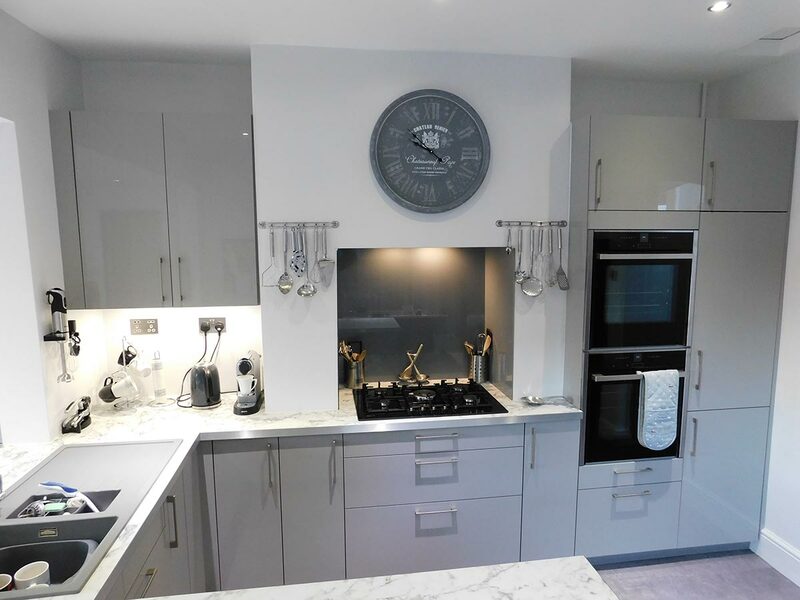 This client chose a Uni-Gloss Stone Grey Painted Schüller kitchen. The light from the patio doors bounces around the room giving it a bright fresh feel. 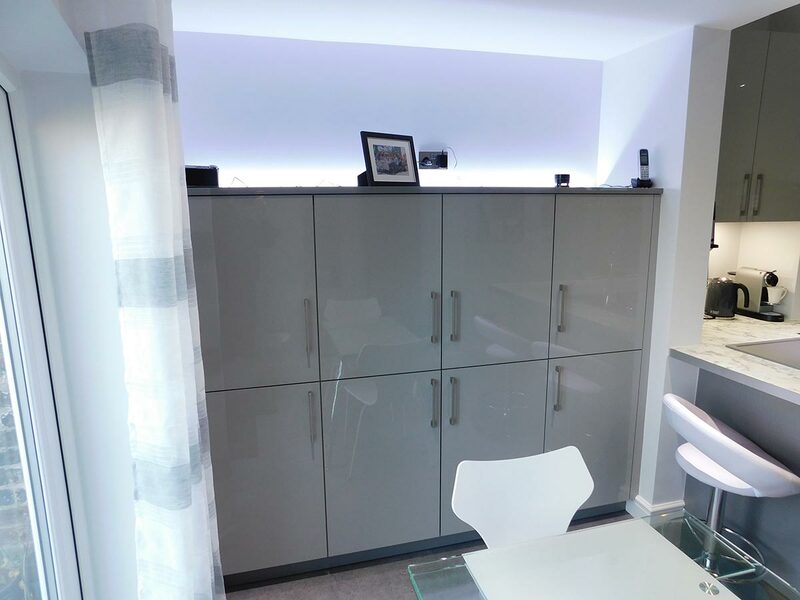 We wanted to give our client lots of storage but with a spacious look. It was a challenge to work around the over mantle area and keep the flow of the units. 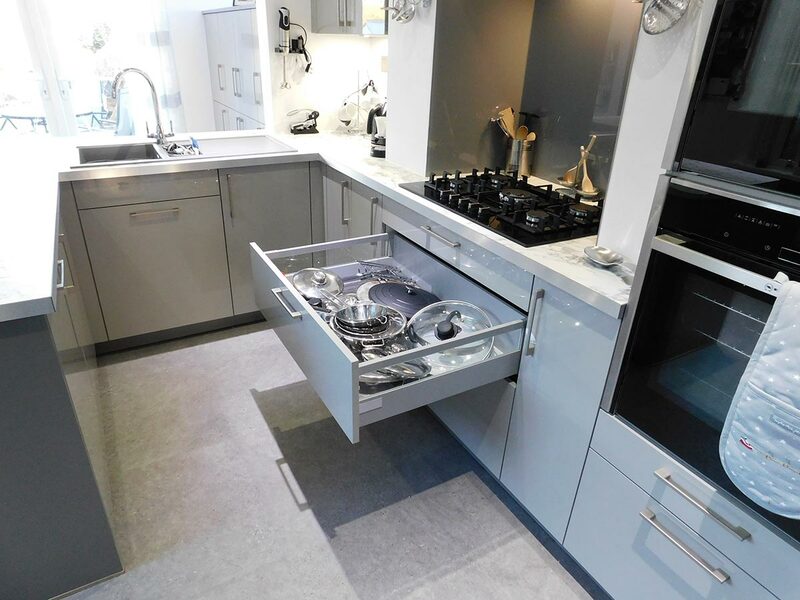 We have achieved this by bespoke base units reduced in depth to suit. They love the view of the garden and enjoy a variation of seating heights and areas. Client: ‘We had two companies in mind to give us a quote however Kookaburra were the first to come back with some concrete thoughts for us. Chris and Andrea were really helpful in those initial stages and gave us lots of options to help us make our minds up. 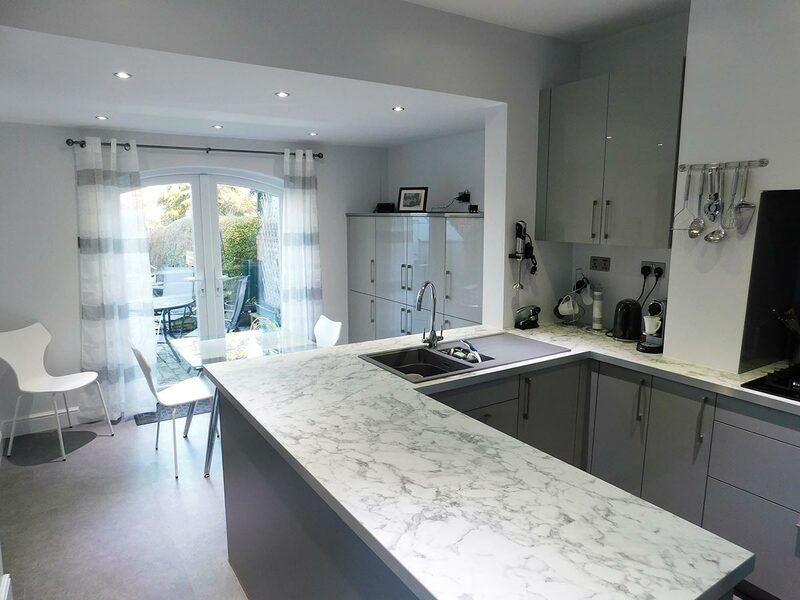 Client: ‘We wanted a modern kitchen with a peninsular design that contained all the appliances and food cupboards in that space. Chris enabled us to see how this might look and Andrea helped us with design features. They really listened to what we wanted and painstakingly measured everything out to accommodate appliances that we were keeping such as the American fridge freezer. Andrea suggested Le Mans pull out units and bins under the sink which have been a great success. The larder unit is spacious and easy to pull out. The sink now overlooks the garden which is ideal and our fitter Paul suggested an overhang to the work top so that we now have a small area with stools to sit and chat.